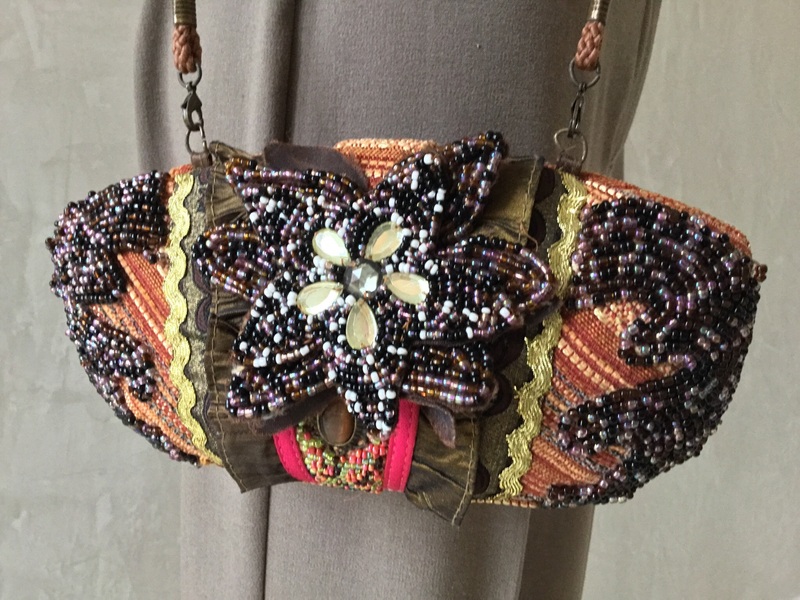 So much detail - it can be used as a purse or a clutch! It is 8 inches across 4 inches high and has a 22 inch strap drop. It is so unique!